Simon Lewis is a Consultant Neurologist at the Royal Prince Alfred Hospital and Professor of Cognitive Neuroscience at the University of Sydney. He has a specialist interest in both newly diagnosed and advanced Parkinson's Disease with expertise in freezing of gait, hallucinations, memory problems and sleep disturbances. 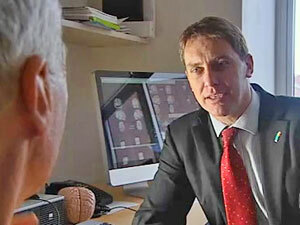 He undertook his Neurology training in Cambridge and London before moving to Sydney in 2007.